With a departure from tufted sofas, mirrored furniture, and metallic accent pillows, we make room for the interior design trends for 2017. Thanks to Pantone’s color announcement, we can expect Greenery splashes to invigorate spaces. This along with refreshing uses of finishes and styles give design lovers a lot to look forward to. 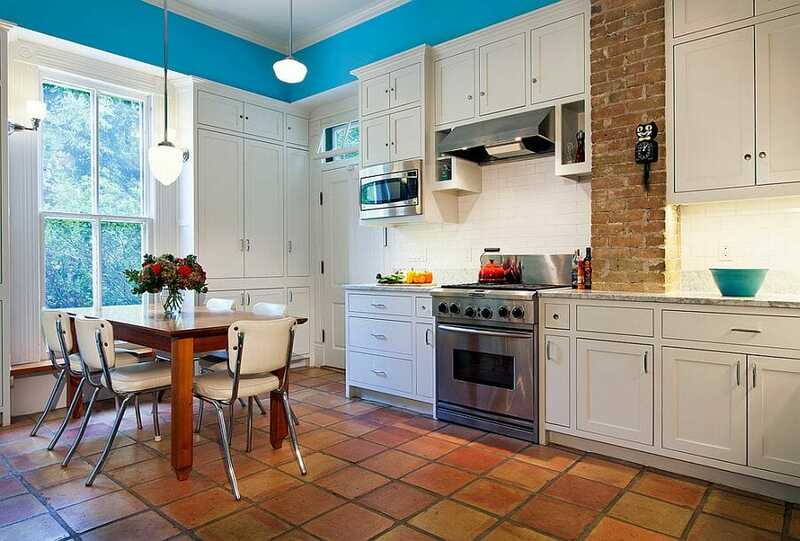 While subway tiles are a classic standard, this year will show a more playful approach with tiles. 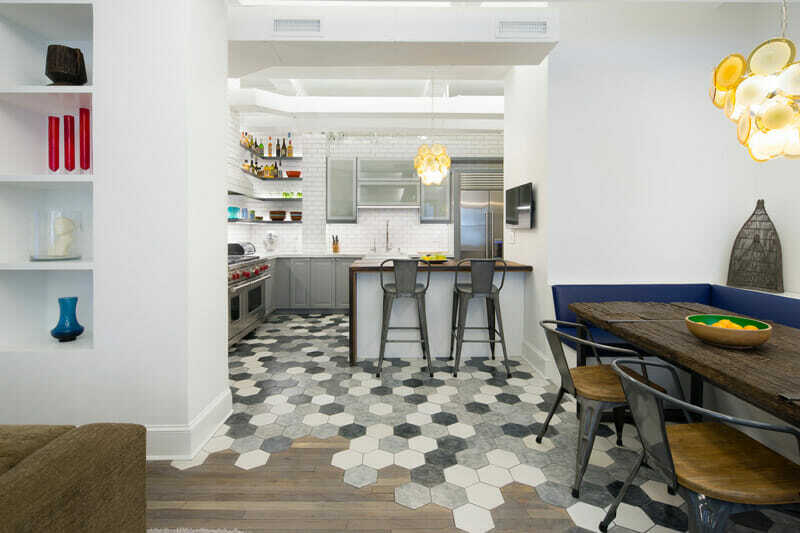 The use of shaped tiles like triangles, scales, and hexagons are effective on both walls and floors. They easily create style and pattern in a visually impactful way. 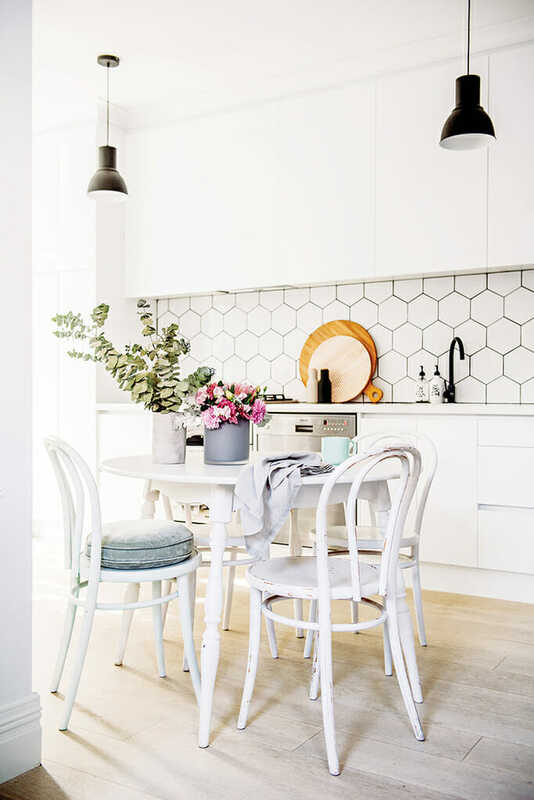 For the bolder at heart, creating a transition from hexagonal tiles to wood flooring is truly a signature look! A throw back to the 90s, terracotta is a more subtle choice that highlights the beauty of raw materials and hand-made work. The muted orange tones being an earthiness to a space allowing for pieces like a vintage kilim rug or metal table to stand out. Described as “nature’s neutral”, Pantone’s interior design trend for color is Greenery, a life affirming shade that beckons zest and vitality into spaces. 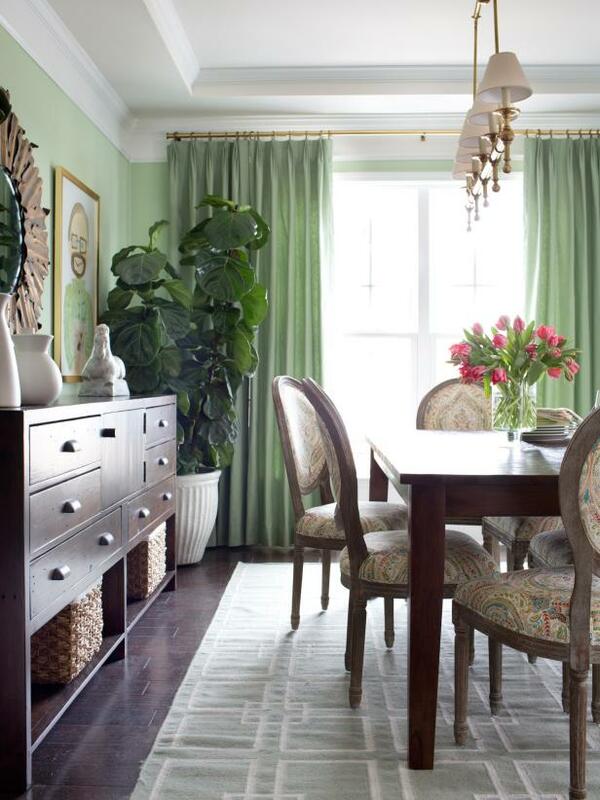 This shade is likely to be found in accents, particularly botanically inspired ones. On the other side of the color wheel is Sherwin William’s choice, Poised Taupe, a timeless classic that appeals as a neutral. It can be the ideal backdrop for a wide range of color combos, from pastels to brights. 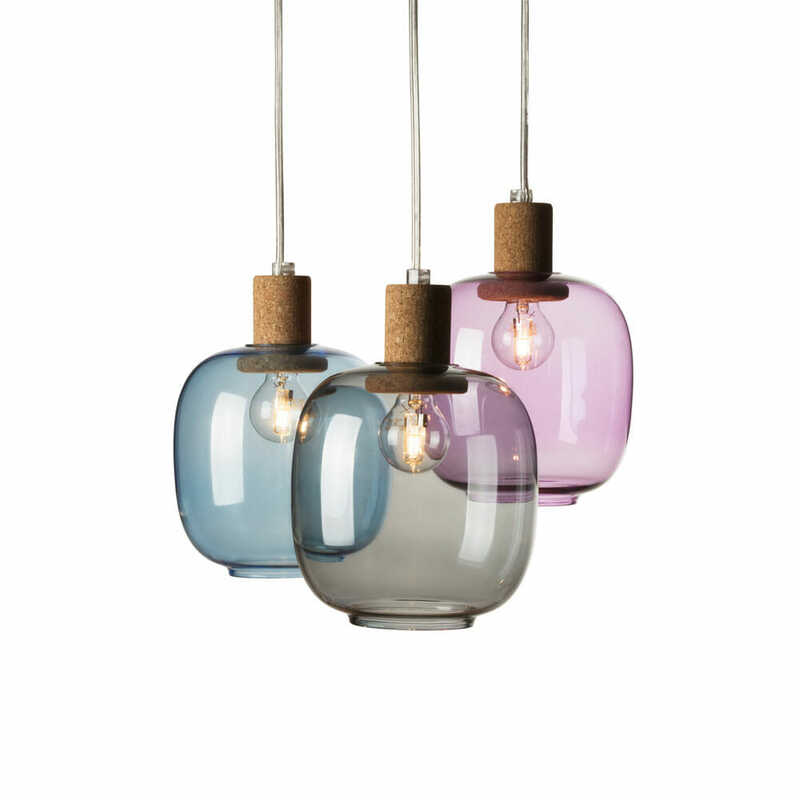 Its balance of warm and cool tones makes it truly versatile. In 2017 another color forecast is blue as the new black. 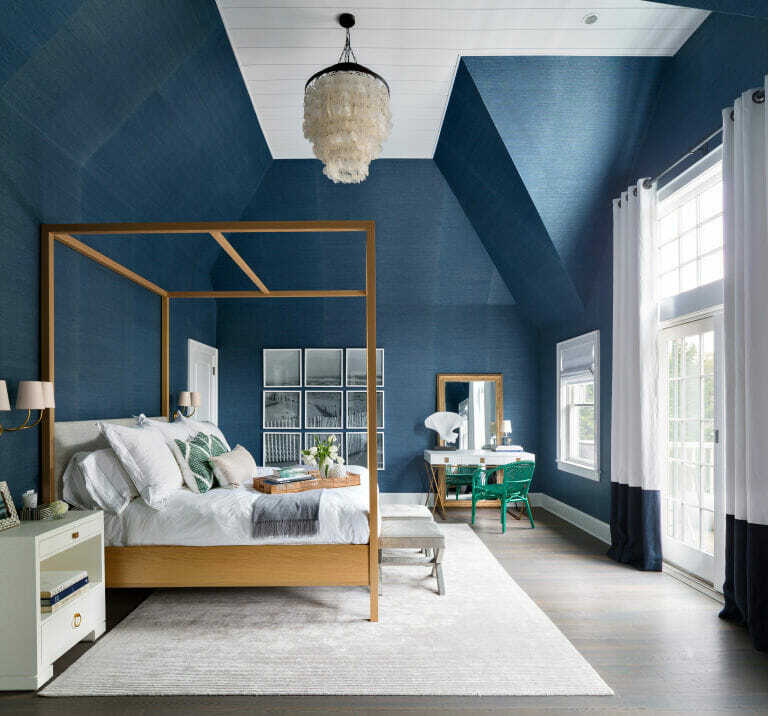 Dusky blues like this Sherwin-Williams Endless Sea are confident in nature offering creative possibilities for interior designs. Another of upcoming and welcome interior design trends is a focus on escapism. Spaces that create a quiet and relaxed haven will be increasingly intentional as our lives amp up with technology. 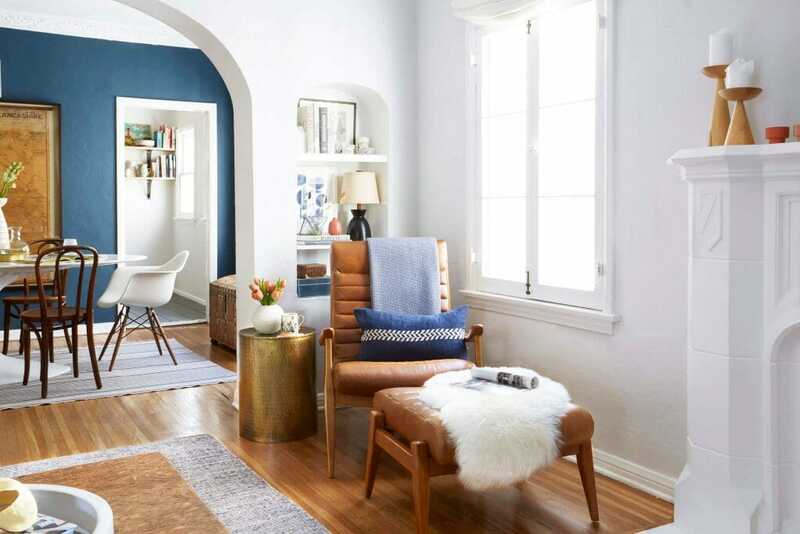 Nooks that favor comfy love seats, soft floor cushions and chunky rugs help encourage tech free environments where people can escape into a book, music, or conversation. 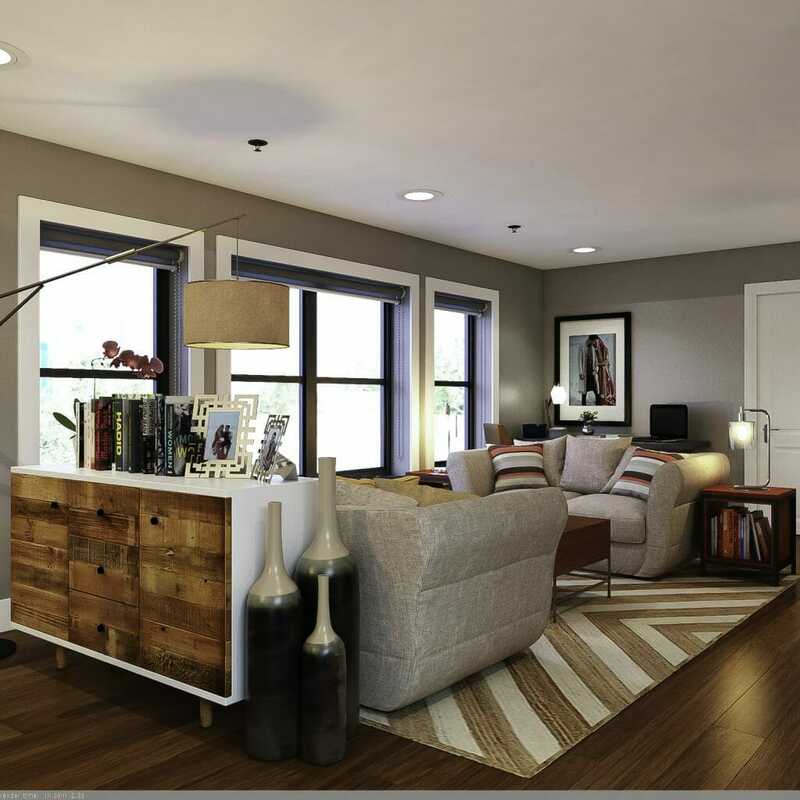 Living room design by Decorilla designer, Aldrin C.
With the rustic look here to stay, natural materials are becoming more and more popular. Aside from the copper and rose gold that dominated 2016, cork finishes will find their way in home decor in the new year. From accent wallpaper to table lamps to flooring, cork is a durable and eco friendly option that has an appealing natural grain. Last year played around with the vintage explorer design trend that is bound to make its way more in 2017 interiors. 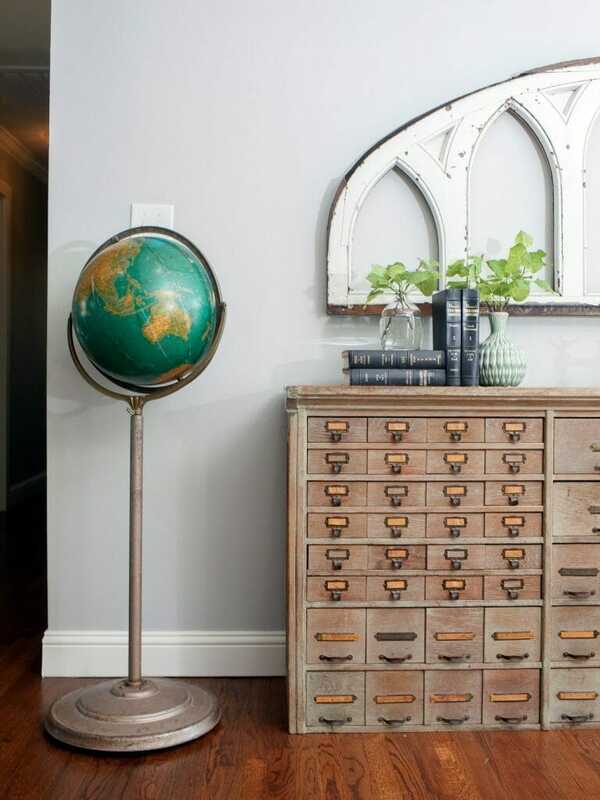 Old maps, vintage suitcases and exposed light bulbs bring in an air of nostalgia and interest to designs borrowing both global and eclectic style elements. 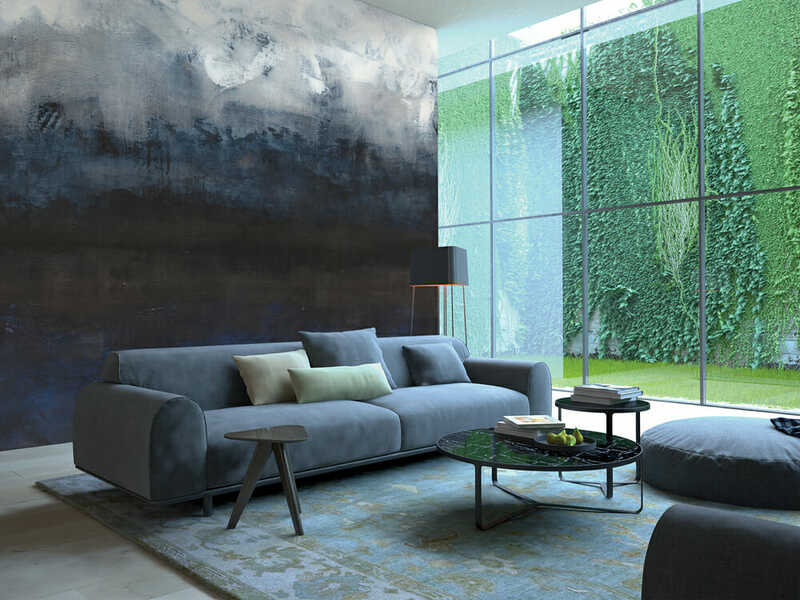 Expect to see weathered leather furniture, iconic expat chairs, and globes as popular decor accents that offer a timelessness to interior designer rooms. Another of 2017’s interior design trends on the rise is the use of faux products. 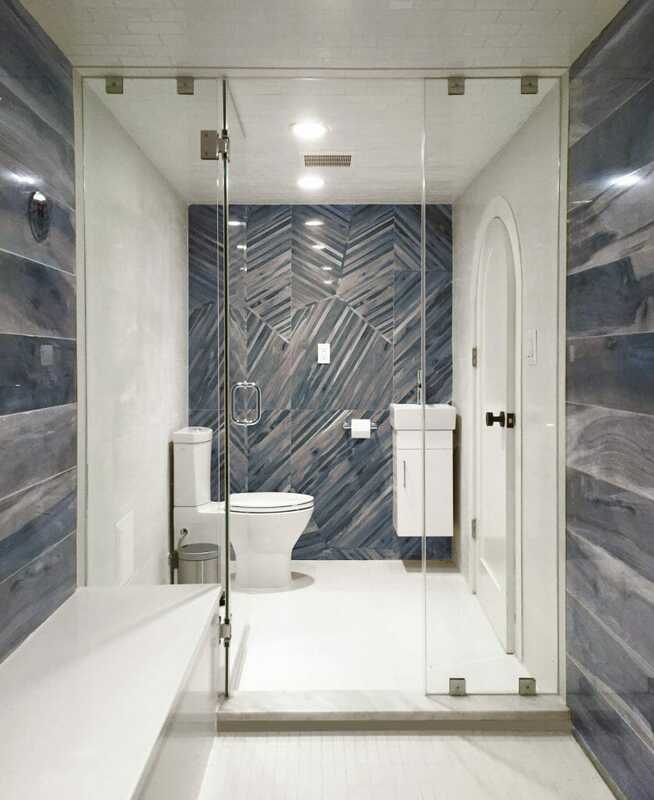 With look-alike textures and materials like wood, marble, and botanicals being practically indistinguishable from the real thing, these offer great budget-friendly options for homeowners and designers. At times, these can even be a more reliable alternative to authentic materials. 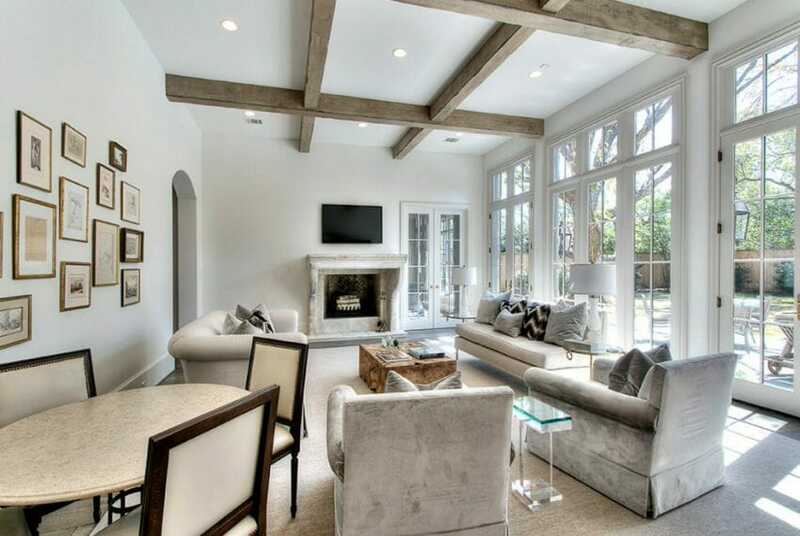 Unlike real wood, faux wood ceiling beams, for example, can’t rot or bow. Similarly, engineered quartz can withstand heat and acidic foods better than Carrara marble. Design by Decorilla designer, Mladen C.
We’ve seen an excited revival of wallpaper with unique prints, textured finishes and faux imaging. One of 2017’s interior design trends will embrace wall coverings that are literally works of art expanding the width of your wall. 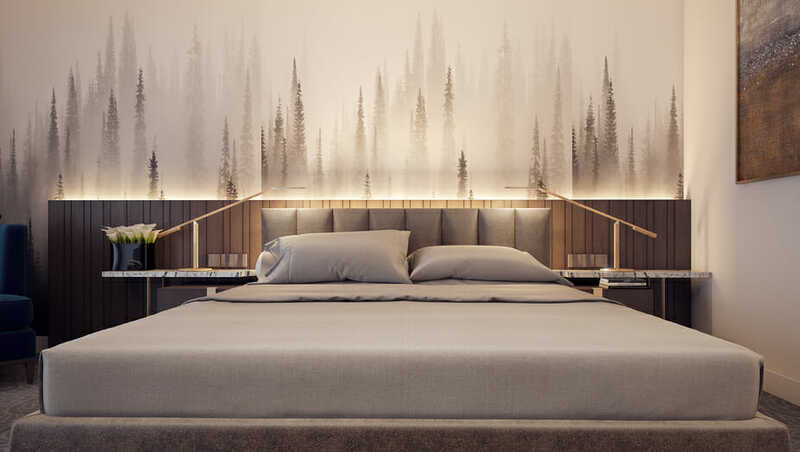 Online interior designer, Mladen C., has already experimented with mural art wall coverings in a recent bedroom design. 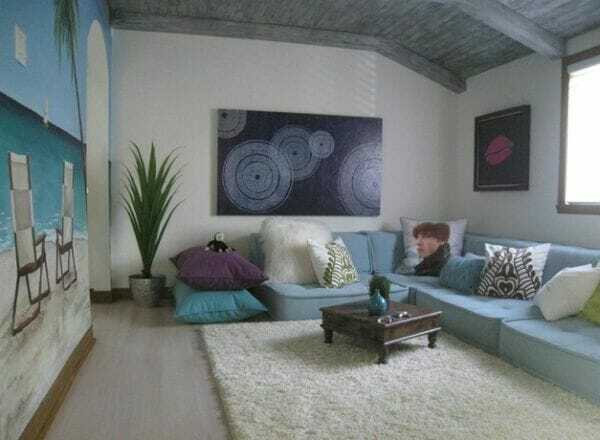 The result was adding a dreamy mood to the space. Area Environments, for example, is a creative studio that runs on a “passion for art and obsession for quality”. 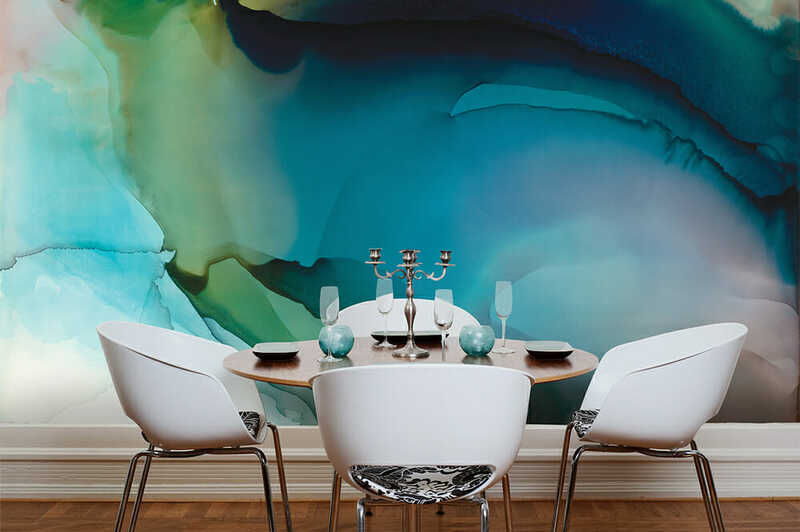 They produce exclusive wallpapers and large scale murals from original work by contemporary artists. 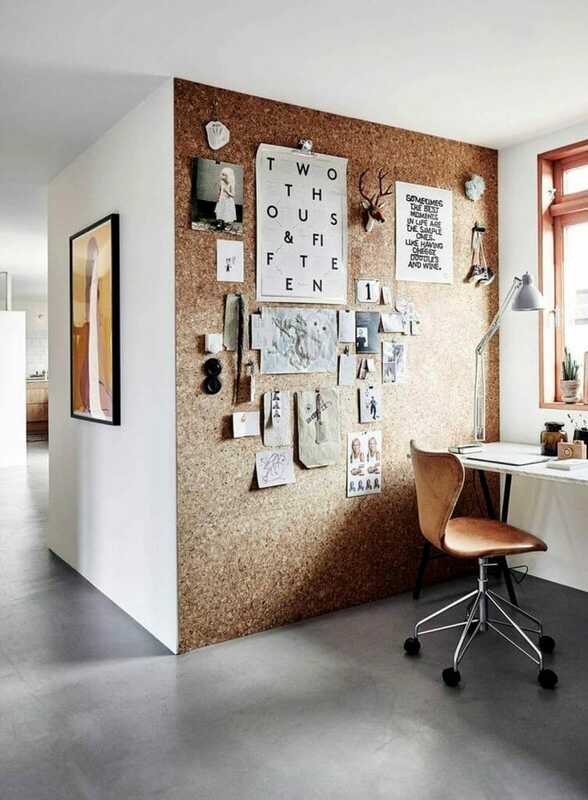 Talk about a showstopper wall accent! Wanting a fresh approach to the New Year? 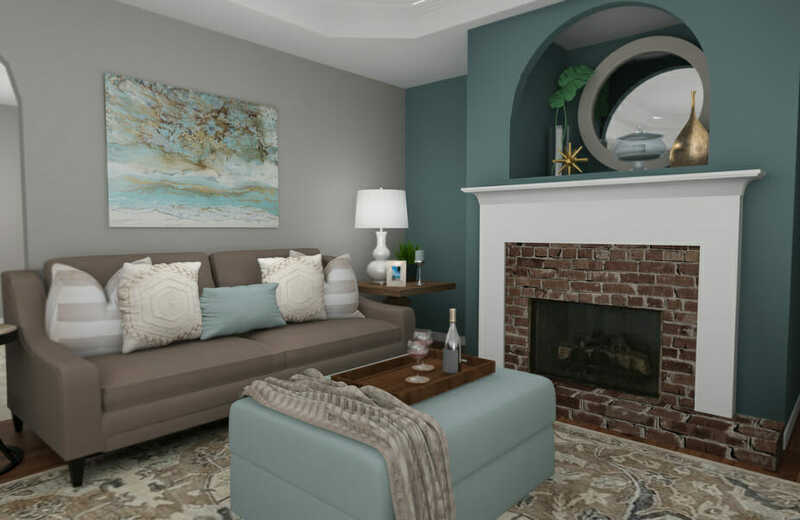 Start a project and let a Decorilla designer assist to bring some interior design trends into your home.